LEAVE-IN conditioning hair mask with active ingredients to regenerate the hair’s fibres. Protects colour for extreme shine and softness. For frizz control. Repairing anti-colour-fade bath for coloured or weakened hair. Protects colour and the hair’s fibres, and leaves hair shiny and soft after exposure to the sun, due to the ceramides in its formula that strengthen the cuticle and reconstruct the lipid layer. 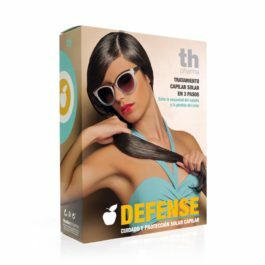 Protective formula for coloured hair, with UV filters to protect against weakening of the hair’s fibres caused by UV rays, and with texturising polymers for reducing frizz. Water resistant. 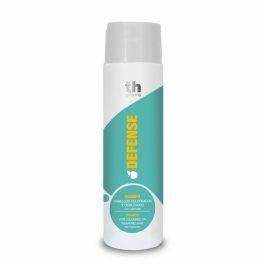 THERMO-PROTECTION TREATMENT IN 3 STEPS: THERMO-PROTECTOR + SHAMPOO + LEAVE-IN HAIR MASK. Protective the hair’s fibres prevents it from drying out and losing colour.